1. Place the beans (with liquid), broth, 1/2 teaspoon salt, cumin, chili powder, and garlic in a medium saucepan. Bring to a boil. reduce heat, simmer for 10 minutes or until beans are very soft. 2. Drain, reserving the liquid. Preheat oven to 450 degrees. 3. 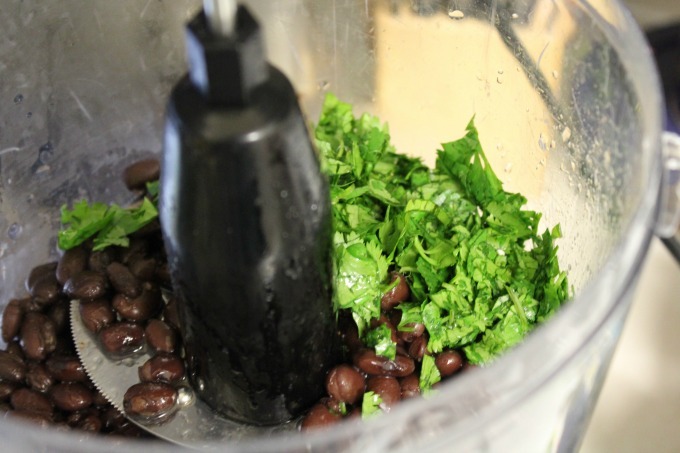 Purée drained bean mixture with cilantro, juice of one lime, and remaining 1/2 teaspoon of salt until very smooth. Add a tablespoon at a time of reserved liquid if mixture is dry. 4. 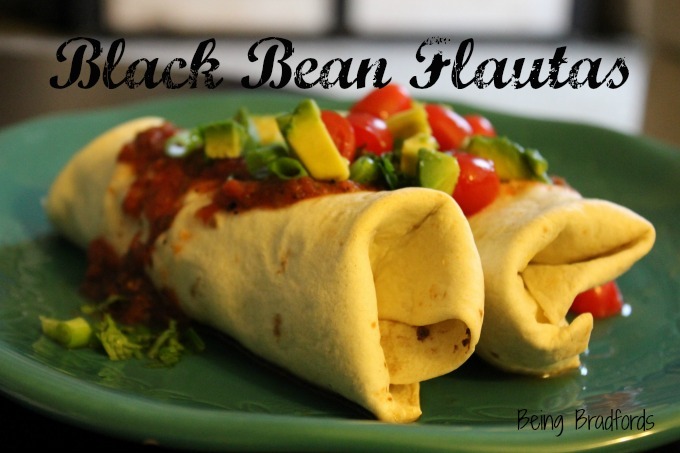 Spread 1-2 tablespoons of bean purée on tortilla. 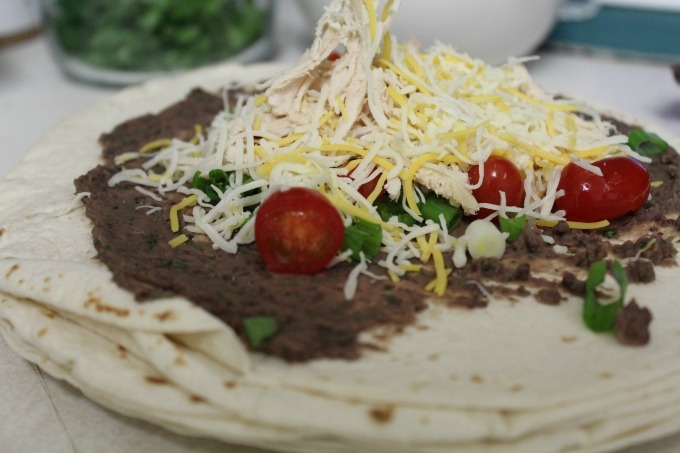 Then sprinkle with a 2 tablespoons (or so) of cheese, a tablespoon of tomatoes, and 1 tablespoon of green onion. **I usually just eye-ball the amounts of each. 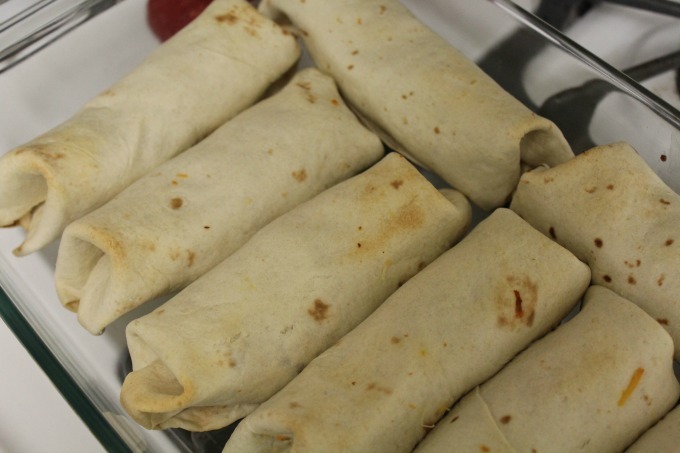 Roll up very tightly and place in 13X9 backing dish. Repeat with remaining tortillas until all of the bean mixture is gone. I am usually able to fit 6 flats across and 2 more in the dish lengthwise. 5. Bake for 10-15 minutes or until crisp and browned on top. 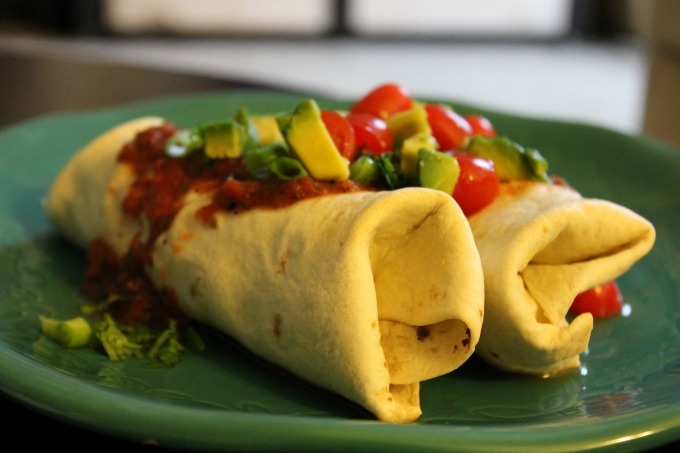 Serve with salsa, lettuce, and avocado. Oh my husband would love this! Looks tasty! This looks like very interesting receipt. I think it will be great to cook it to get acquainted with Mexican cuisine. My boyfriend likes it but I still can't cook something for him. I was even reading martazkagan cooking book but this didn't inspire me a lot. And the pictures in your post made this better.